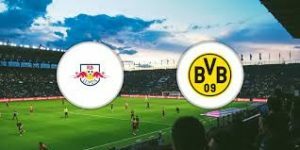 RB Leipzig welcomes Borussia Dortmund in a game from the 18th round of the Bundesliga. Let’s take a look at this clash on Saturday night in Leipzig. RB Leipzig continue the fight for a Top 4 finish and another qualification for the Champions League. Right now they are 4th in the standings with 31 points, having 3 points advantage in front of the 5th Wolfsburg. Most surely they’d want to keep this gap, because it gives them some calmness at the moment. Since the beginning of the season, RB Leipzig have a record of 9 wins, 4 draws and 4 losses. In their last game Ralph Rangnick’s team enjoyed a 3-2 win over Werder Bremen at the Red Bull Arena. Lukas Klostermann, Timo Werner and Bruma scored for the winning team, while Kruse and Sargent’s goals for Werder were not enough for the visiting team. RB Leipzig really needed this win, because in the previous game they have suffered a defeat from the hands of the champion Bayern Munich. Borussia Dortmund are once again fighting for the title in the Bundesliga. At this moment Dortmund are leading the standings, having 42 points and 6 points advantage in front of Bayern Munich. The team’s record at the moment shows 13 wins, 3 draws and only one defeat. In their last game Dortmund enjoyed their 13th win for the season, beating Borussia M’gladbach with 2-1 at home. Jadon Sancho and Marco Reus scored the winners for the home side, while Cristoph Kramer scored M’gladbach’s only goal in the match. This is a great game at the Red Bull Arena. Borussia Dortmund are leaders in the league and they are fighting for the title, but it won’t be easy for them against RB Leipzig. The home side is one of the strongest teams in the country right now, so Dortmund shall expect a fight here.